A long time Cleveland tradition, A Christmas Story, is coming back to where it all began! Celebrate the holidays with us by first warming up with a hearty holiday brunch at the Mayfield Village Civic Center. There will be a holiday themed punch available upon arrival so you can catch up with friends while enjoying your refreshment. 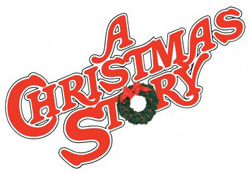 After brunch and refreshments, we will be boarding a motor coach and heading downtown to the Allen Theater for the 1:30 PM showing of A Christmas Story, the play. This hilarious, record breaking show will entertain and delight you! Leave the details to us, and sign up for this exciting day of holiday cheer! For reservations and information call the CPA Office at (440) 473-5138 Monday – Wednesday 10:00 AM – 4:00 PM.